In the beginning, Clean Energy Systems (CES) consisted of an informal team of friends assembled by Rudi Beichel in 1993. The first members included chemical engineer Roger Anderson, former NASA official and lawyer Steve Doyle, platelet expert Harry Mueggenburg, fabricator Fred Schwarz, aeronautical engineer Jim Taylor, and rotating machinery expert Vic Viteri. By 1996, two additional members had been added to the team - Jack Richey and Dr. Richard Wertz - who provided the necessary capital to enable CES to incorporate by August of 1996. The early years of CES were spent developing ideas, filing for patents, and researching the energy market. The founding members were primarily retired individuals from the aerospace industry who invested their own time and money into developing Beichel's concept without any thought of personal gain. Their perseverance and loyalty paid off: by January of 1998, CES had received the first of what would be more than 25 patents to be issued on CES hardware and systems over the next 12 years. By 2000, the Clean Energy Systems team was ready to test and prove the viability of their method of producing power without pollution. Funded by the California Energy Commission, CES was able to fabricate and test a proof of the principle gas generator, which was capable of generating 110 kWt of steam and CO2. Soon after, CES began to receive federal funding from the U.S. Department of Energy to fabricate and test a small commercial gas generator (the oxy-fuel combustor) capable of producing 20 MWt of steam and CO2. Testing of this oxy-fuel combustor was successfully completed by 2003. The success of these early tests provided CES with a starting point for projects of greater scale. During the mid 2000s, Clean Energy Systems worked towards developing a larger pilot study to demonstrate their capabilities. 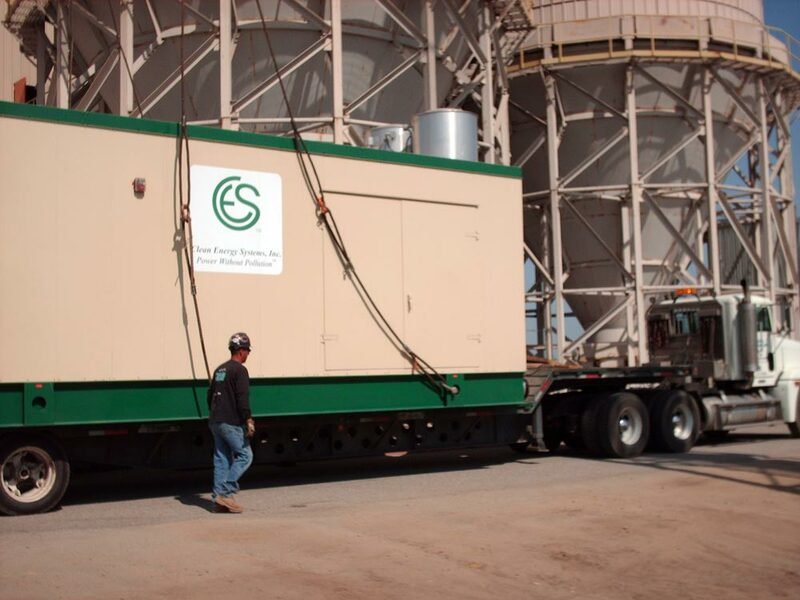 With funding provided primarily by the California Energy Commission, CES was able to retrofit an abandoned biomass power plant, known as Kimberlina, located in Bakersfield, California. The Kimberlina Power Plant would serve as a demonstration facility for the 20 MWt gas generator. Other investors or partners involved with the development of the Kimberlina Power Plant included the U.S. Department of Energy, Mirant, and Air Liquide. The first synchronization to the electrical grid occurred in 2005. Within one year, the Kimberlina Power Plant had logged more than 300 starts and 1,300 hours of operation, becoming the world's first non-polluting fossil fueled (natural gas) power plant. After the successful start-up of the Kimberlina Power Plant, CES began to work on several other projects and improvements. The first was a syngas combustor, capable of operation with coal, biomass, and other syngas feedstocks. CES was also busy working on modifications that would permit the use of liquid feedstocks and slurries of pulverized solid carbonaceous fuels. In 2007, CES worked with a number of consulting design engineers to modify an existing GE J-79 gas turbine into a steam turbine, which was successfully tested at the Kimberlina Power Plant by 2010. These modifications allowed the turbine to operate at significantly increased power with the CES combustor. 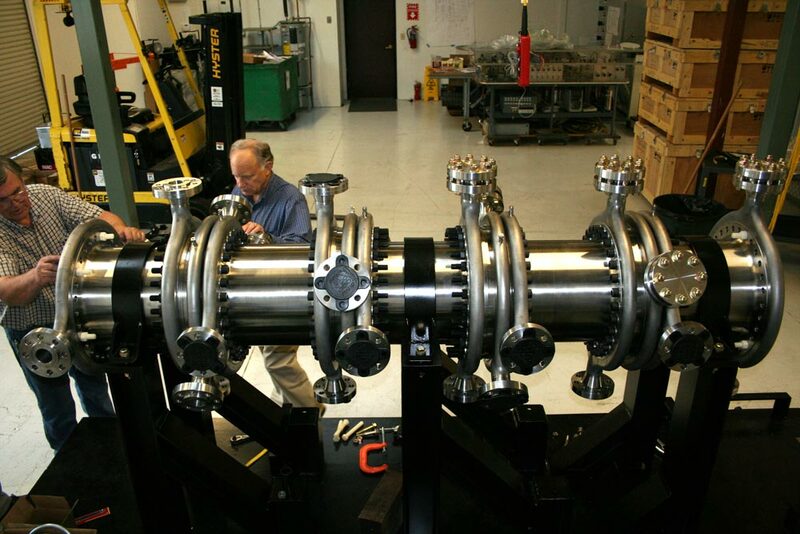 In 2007, CES began to receive federal funding from the U.S. Department of Energy to develop an industrial oxy-fuel turbine. Known as the OFT-900, this oxy-fuel turbine is derived from a Siemens gas turbine (SGT-900). The Kimberlina Power Plant was upgraded to be able to handle the increased fuel, oxygen, and de-mineralized water requirements for this larger, 150 MWe expander turbine to demonstrate continuous operation in commercial-like settings.